“Ride The Ozarks,” we intended to do just that. The seven of us met up around dawn-ish, meetup times for these kind of things are an illusion anyways. The day began by driving to Lake Fort Smith’s Visitors Center to the start of the days’ route on a peculiarly crisp morning for September, overcast and 70-something degrees for the high. 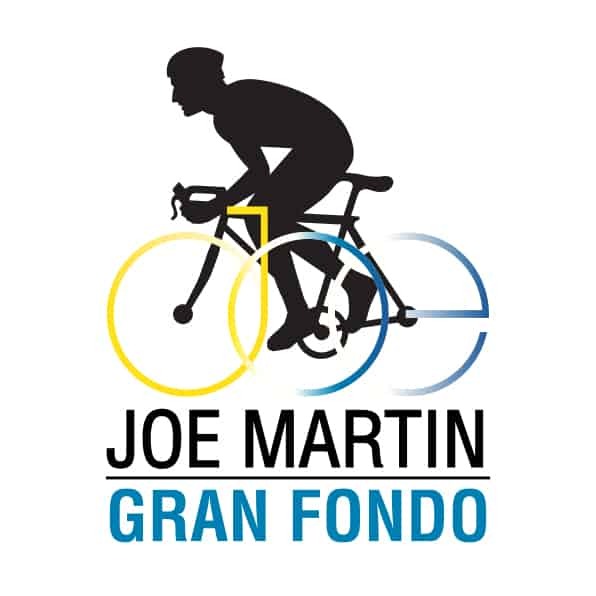 We’d all signed on after trading texts about the route in the few days leading up to the ride, we were a mixture of excited and queasy, but fully aware of the task of grinding through the roughly 14k of climbing and 125 miles of “groad” ahead of us. This and typical of most gravel routes I create, it began with me scouring maps late at night looking for ways to connect some natural landmarks, aided by knowledge from locals, and a healthy dose of plain getting lost in the area, until voila… a series of squiggles came together that made me just the right mix of concern and excitement. Route Highlights: Starting off with a quick road climb out of Lake Fort Smith, turn and descend into the town of Moutainburg veer east and hit your first bit of gravel on Warloop Road. I’d consider this gravel section a qualifier for the rest of the ride if you like this, you’ll love the rest of the route. After this bit, it’s relatively standard Ozarkian gravel, sketchy descents followed by loose climbs up to White Rock Mountain proper. Stop at the general store. It’s run by the often shoe-less Chris, one of the current caretakers of the area and get some snacks and drinks to enjoy while taking a break at the nearby overlook pavilion. Notice the arrows pointing to various landmarks along the rim of the pavilion, especially the one pointing due south to Shores Lake, you’ll be riding there next. Sweeping turns will take you down to Shores Lake and be sure to enjoy it, as with everything in this route, you’ll be climbing back up to a high point again soon enough. This is the first section of road we first noticed a couple of vehicles on course with us that day, which is enough to be considered “traffic,” they were an odd mix somewhere between a rally car and a demolition derby vehicle (more on this later). Shores Lake is a recreational park with beautiful views, swimming, camping and an all but forgotten mountain bike trail worth checking out another time. For now, there are miles to go, and coming up is the next qualifier that will deliver you back down to Shores Lake Road. Along this qualifier you’ll notice the spray painted trees, some are marked boundaries to logging areas, 3 striped purple lines, and some are to mark tree claims sold to loggers such as Jim Cline, 2 blue dots, whom we met and spoke to at length about the area. Conversation ranged from the roads we were riding on, that he claimed, “ain’t flat”, to a timber rattler snake he had “runneth over” the previous week, and his family of loggers, of which 3 generations were helping him that day. Back at Shores Lake Road, you’ll be riding parallel with the Mulberry River until you get to Highway 23 (a.k.a. the Pig Trail Scenic Byway) where you will cross the Mulberry and stop at Turner Bend (the first of two visits for the day). Stock up heavily for the next 40 miles and 4k feet of vertical. Treat yourself to one of their famous sandwiches and check out the exterior ice cooler plastered with stickers before heading down the rock steps at the waters edge where river boats take-out (ask permission inside first). Remember the derby car I mentioned earlier? Here is where we learned more about the vehicles and about the navigation race called Gamblin’ the Ozarks…a Gambler 500 event worth Googling, or check this link out. Push off and continue on Highway 23 and stay alert of traffic on this paved bit before turning on Barnes Road to navigate the next 15 miles of gravel on your way to the low water bridge that crosses over the Mulberry River, and if you are lucky you might catch a kayak or canoe passing underneath. After a quick spin west on Highway 215, turn right heading up the long, climb of Morgan Mountain Road, which is one of the steepest and longest climbs of the day. We finally topped off at Hanging Rock, where a quick scramble up the rock will show off a view worth the stop, this route is about taking in the views, so you better stop. It was here that we began to notice it getting late and we were concerned that we weren’t going to get back to Turner Bend for round 2 before they closed, but after a quick phone call I had secured a round of sandwiches and coke to be set outside for us. Thanks Adam! 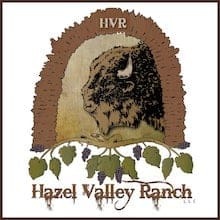 Hopefully refueled and refitted from your second stop at Turner Bend, you will start the last stretch home which will take you towards your highest point in elevation for the day and the longest series of climbs, up to the high point near Bidville. You’ll likely be riding with the sunset to your left, if you aren’t already enjoying some night riding as you top out and ride one the few flat sections of this route, enjoy the stars out here, as there is little light pollution and a big sky devoid of canopy. 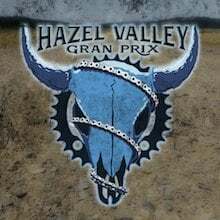 Those familiar with the Hazel Valley Gran Prix will appreciate the next section that will bring you twisting down quick, loose switchbacks to Winfrey Valley and then the final push back to Lake Fort Smith. At this point in the night we had all scrounged for our last bites of food and turned up our bottles, searching for the final drops. 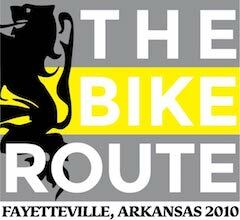 This route had pushed even the most experienced of us to our limit, something you can look forward to, riding the Ozarks. Enjoy. Riders: Dylan Morton, Shea Stengle, James Nixon, Nick Khilling, Allie Corlett, Nickel Potter, John Montesi. Bikes: Specialized Crux, All-City Cosmic Stallion, Foundry Overland, Salsa Cutthroat, Salsa Warbird, Salsa Fargo, Open U.P. “… just the right mix of concern and excitement.” YES! The best adventures!